Since graduating from the Academy of Contemporary Music in 2012 guitar player CARMEN VANDENBERG has hit the ground running – fast tracking a career in the music industry. She performed in BONES alongside singer ROSIE BONES on a sold out European tour, she has also worked with Roger Taylor, Dave Stewart, Kate Nash, Roger Mayer and Guy Chambers. They will tour together to promote the album in the U.S. during the summer of 2016. 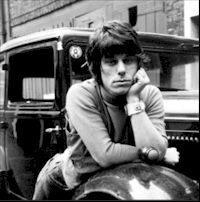 Wanting to redefine his sound, JEFF BECK drafted in ACM’er Carmen and her band mate ROSIE BONES after watching Bones perform at Queen Drummer, Roger Taylor’s birthday party. Beck has since told Rolling Stone that he wanted to move past his ‘guitar nerd’ albums and that is why he decided to team up with Carmen & Rosie. Producer on the album was another former ACM production student, Filippo Cimatti, who worked with Jeff to finalise the album. CIMATTI has also worked with electro -pop act Francesca Michielin, LE LARVE and melodic minimalists FLIM. 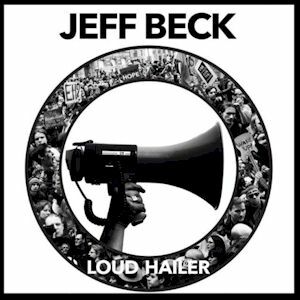 The JEFF BECK album ‘Loud Hailer’ is set to be released July 15th, and will contain music from funk to electronic and soul to the blues with a focus on vocal songs.